two gigawatt hours annual energy transfer is achieved (6MWh x 365 = 2,2GWh). energy price, outdoor temperature or consumption fluctuation. The price of one GWh is approximately 100.000€. 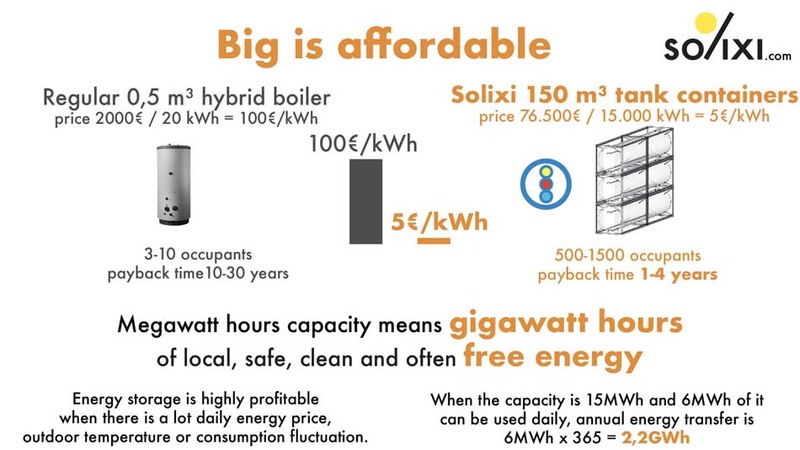 Only by storing energy smartly the savings can be around 50%. 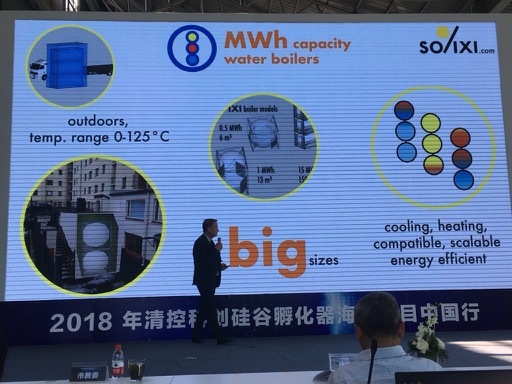 The energy efficiency of connected devices is higher with large water boiler. Smaller device sizing and power, smooth running times and automatisation will bring even more savings. Concentrated solar power demand large high temperature heat energy storage. Cooling needs a lot low temperature water. It is wise to storage very hot and very cold simultaneously. Emissions will drop dramatically, Solixi is clean.